Mohamedou Ould Slahi has been locked up in Gitmo without charge for 14 years, but the US government “has no evidence” against him, his attorney told RT. Tortured and beaten, both ordeals exposed in his memoir from behind bars, Slahi is now hoping for release. On June 2, Slahi appeared in a 17-minute hearing before the prison’s Periodic Review Board (PRB) that essentially holds his fate in its hands. It is the PRB that examines the risk of releasing a detainee and is set to decide whether to clear Slahi. He is the 22nd detainee to go before the board this year. “There is no reason for him not to be cleared. He has never committed any hostile act to the United States. There is no evidence against him,” Slahi’s attorney, Nancy Hollander, told RT in its GTMO 2016 special report. Together they have been fighting for Slahi’s freedom since 2005, when Hollander first met him in Guantanamo. 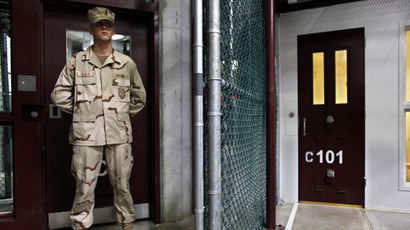 She says she spends “probably third of a year” in Guantanamo to be with her client. A native Mauritanian, Slahi’s story is an unusual one. He did not arrive at Guantanamo the way the majority of detainees did. The primary reason for his illegal detention is not related to 9/11, but has its roots in the 1990s, when Slahi pledged allegiance to the group that would eventually become known as Al-Qaeda. He stopped his engineering studies in Germany to go fight along with the mujahideen against the communist government in Afghanistan. At the time, the Islamist group and its leader Osama bin Laden enjoyed the support of the US in its fight against the Soviets. Slahi claims he had “broken ties” with Al-Qaeda in 1992 to return to his studies in Germany. Nearly ten years after, when Al-Qaeda became Washington’s top enemy, Slahi turned himself in for questioning to Mauritanian authorities. On November 1, 2001, he was interrogated in relation to the so-called 2000 millennium attack plots, a series of foiled attacks, including the one at a Los Angeles airport planned for late December 1999. It appeared that when Slahi lived in Canada in 1999, he crossed paths with Ahmed Ressam, a convicted perpetrator of the thwarted attacks. The two prayed in the same mosque in Montreal. After Ressam’s arrest, Slahi was questioned several times, including by the FBI and each time cleared for release. That was not the case at his last meeting with Mauritanian authorities. Slahi was detained and then handed over to Jordan, where he spent eight months. After a subsequent chain of custody transfers, he was put in Guantanamo. 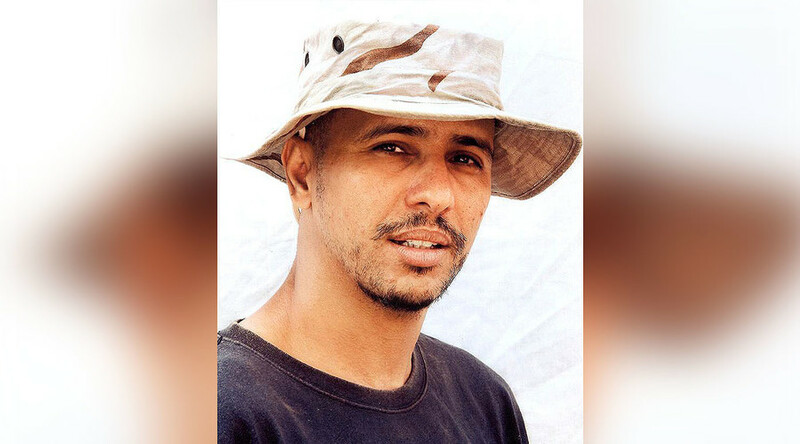 Now, 14 years later, Slahi is one of the most prominent prisoners among 80 remaining Guantanamo detainees. 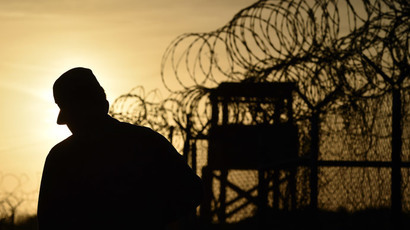 Shali has gone through torture, beatings, death threats and sexual humiliation, all of which he exposed in details in his bestselling book, ‘Guantanamo Diary,’ written in his single cell. At one point, his captors tried to trick him by showing him a forged letter from his mother, but the ploy failed for two reasons. One is that the forgery misspelled Slahi’s name and, second, because unbeknownst to his jailers, his mother was illiterate. He eventually became friends with his guards. In April 2016, one of the guards submitted a letter to the PRB, speaking of his very pleasant impression of Slahi. “Based on my interactions with Mr. Slahi while in Guantanamo, I would be pleased to welcome him into my home,” the guard wrote. In 2010, federal judge James Robertson reviewed Slahi’s profile, the same one the government submitted to the PRB, and granted him his habeas corpus petition, ordering him released. However, the decision was appealed to the US Court of Appeals for the District of Columbia Circuit. Now, Slahi has his hopes high for the PRB to rule on his release. “I believe, I hope that Mohamedou will be cleared, there is no reason for him not to be and then for the State Department to start working with Mauritania. The country of Mauritania has said they would welcome him home. That’s where his family is,” Hollander told RT.